Ryan North, writer of The Midas Flesh, Adventure Time and Dinosaur Comics, is on the show this week to talk about all-ages comics, being tall, genocide, the Canadian video game tip line, comics being autobiographical, comics not being autobiographical, and much more! Plus, an X-Men themed Every Story Ever list! Here’s a Dinosaur Comic about threesomes. Stick it to the Man: It’s a stumper. What Ryan bought with Andrew Hussie’s credit card. Go buy Bunny and Rink: The Friendship Begins on Gumroad! Our guest this week is Dream Thief and Toshiro writer Jai Nitz! We talk at length about Hellboy, John Byrne, getting con commissions, and eventually even a little bit about his comics. Plus, three more entries are added to our list of Every Story Ever! Here’s that loom from the Wanted movie. Check out these awesome Hellboy drawings from Jai’s sketchbook! It doesn’t look like there are many places to get Joe Phillips’ The Heretic anymore, but here’s some info about it. Go listen to the Ranger Danger Podcast! If you want all 25 Bandcamp episodes of Movie Fighters, they’re right here! On this week’s show, we’re gazing into the fist of Dredd with Dredd: Underbelly writer Arthur Wyatt! We’re talking a whole lot about the many writers who have penned stories for 2000 AD, how Dredd is an outsider’s look at America, moving to the U.S. from the U.K., the decision process for making a comics sequel to Dredd, and much more! Plus, a new set of entries into our Every Story Ever list! 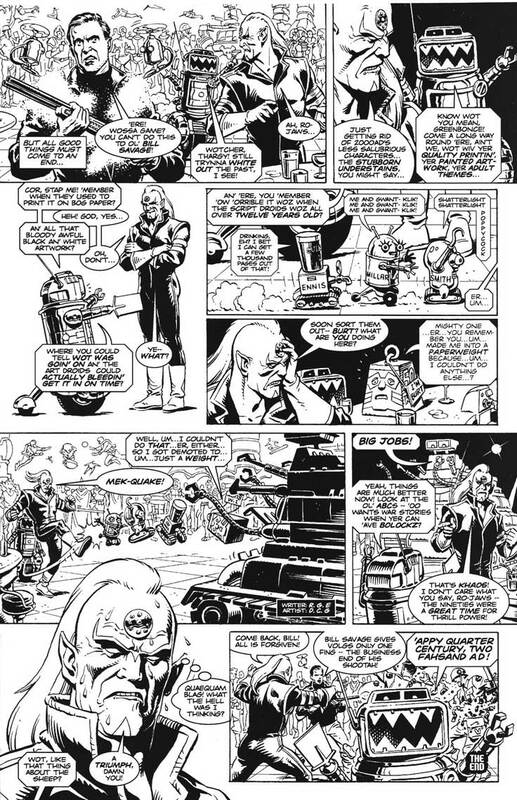 Here’s the 2000 AD page full of creator-based robots, including Millar Bot. Not familiar with D.R. and Quinch? Educate. Here’s Chris’ Grayson interview with Tim Seeley, which includes some discussion of Batman Eternal. One more day to back the Movie Fighters Kickstarter!